Learning to invest wisely is tough. For a young investor, the investing world may seem like a mind-boggling maze, which is why many shy away from it. But it pays to start investing early as time is your ally. The young can afford to take bigger risks than those with family responsibilities or who are getting closer to retirement. Another compelling reason to learn about investing right now is the low interest rates being paid on bank deposits. Rates of below 1 per cent are far outstripped by inflation - and mean your money is losing value. Yet, for many young people, it may seem like too much trouble to think about now. Wait to accumulate enough savings, you may say. But as you earn more, your spending increases, along with your responsibilities. You may be young with nary a care in the world. Nevertheless, you should set aside a fund for emergencies as you never know when you may need it. Take care of your current needs before you invest for the future, and make sure you first have adequate health insurance. And then, only invest the amount that you can afford to lose, without losing too much sleep over it. This means you have to understand your financial goals, know your investment horizon and how much risk you can take. "This is because some investments may be illiquid (cannot be sold easily or exchanged for cash), and volatile," says Mr Abel Lim, executive director of personal financial services at UOB. You hear your aunty or neighbour talking about that hot stock. It will shoot up in value next week for sure, they confidently predict. It's all very tempting and all too easy to just buy that stock. But stop yourself. "Don't listen to rumours and hearsay," says Mr Terence Wong, co-head of research at DMG & Partners Securities. And, says Mr Tan Shen-Lin, vice-president of OCBC Securities: "Don't blindly follow advice without adequate understanding of the mechanics and risks associated with the stock investment." Always do your own homework. Find out why a stock may rise, for instance. "Take a course in investing. 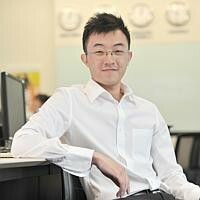 Understand how stocks are valued," says Mr Wong. Read books on investing and keep up to date with current affairs. To learn more, you can also join young investor programmes. OCBC Securities, for instance, has the Young Investors Pack programme while Phillips Securities has the Young Investors Group programme. It's time to get started and no amount is too small. If you do not have a lump sum of, say, $5,000 to spare, start small but be prepared to build it up every month. Investors can start investing with as little as $100 per month. Find out more about the various products out there. Phillip Securities, for instance, has the Share Builders Plan, which allows investors to buy small bundles of shares for a minimum of $100 a month. Mr Lim says a good start option for younger investors would be an equity-based unit trust with a focus on income. "Typically, the underlying equities of these funds are more stable, and possess better risk-reward characteristics compared with fixed income products. "If the dividend payouts of the fund are reinvested, the power of compounding will accelerate the portfolio returns over time." "Young investors should also recognise that stock investments come with the possibility of losses," says Mr Tan. Understanding this will help them to manage losses and learn from the experience, he adds. Remember that markets go up and down. "Investment is not about betting on the next big market mover," says Mr Lim. "It should be a well thought-out process planned together with a qualified financial consultant to determine your financial goals and the level of risk you can stomach."